Summary : Hamasaki Densuke is a newly-hired employee who has just joined the big construction company, Suzuki Construction. The construction industry is enjoying a boom as the country prepares for the 2020 Tokyo Olympics. Hama-chan has loved fishing since childhood. It is not that he is unmotivated to work, but because he tends to bring his feelings about fishing that constantly angers his boss, Sasaki Kazuo. 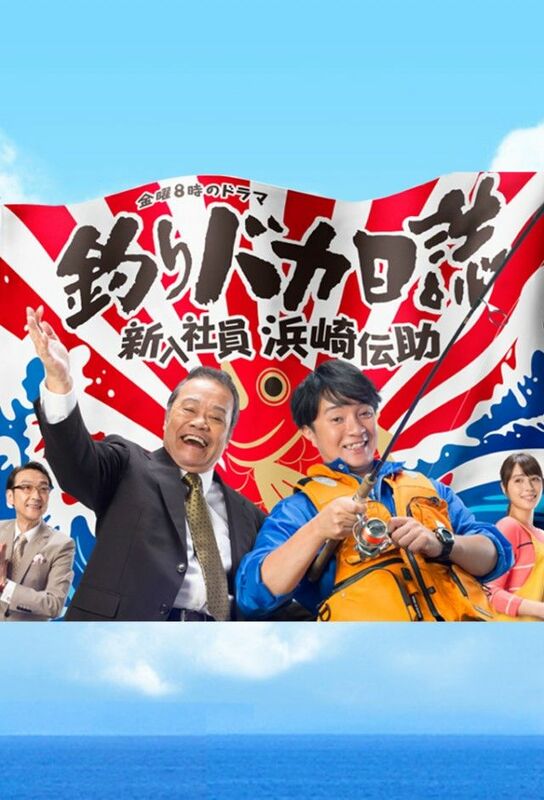 He strikes up a friendship with Suzuki Ichinosuke through fishing and does not realize that he is the president of the company he works for. Note : Episode 1 is 90 Min and Episode 8 is 102 Min. that’s why filesize Is Bigger Than Normal. Other Episodes Are 46 Min Long.